How tight are your hips? 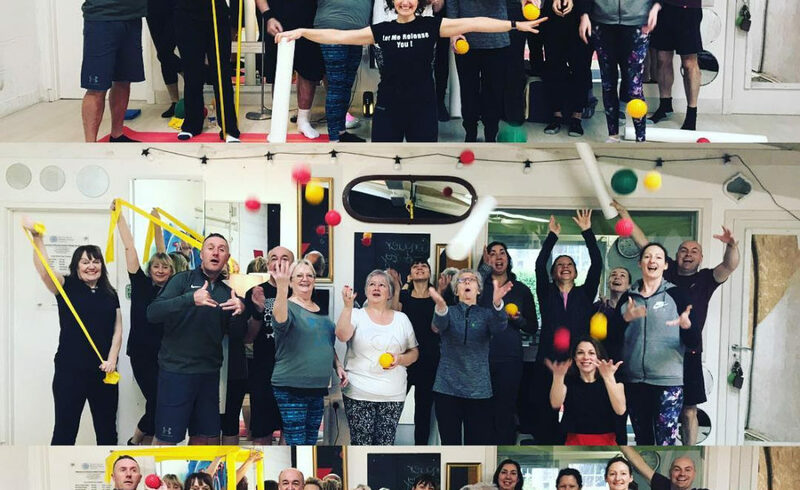 What a beautiful bunch of Trigger Point Pilates work-shoppees! Thank you all for attending and making it such as pleasure as always. If you want to get ahead and book your place for the next one on 23rd February you can book here. Last week we looked at the psoas and specifically, treating sciatica with Pilates. This week we are staying in the area of the hips, but addressing some of the myths surrounding tight hips and how we can address this issue with Pilates. Many athletes and sports enthusiasts are incredibly tight in their hips. But this is not always a bad thing! The main job of the hips is to provide stability, and all athletes need significant stiffness in this area to avoid a waddling type of gait, maintain proper alignment, and support the legs. Runners, for example, rely on a combination of tension in the hips and mobility in the legs to move them forward in an economical manner. Stable hips help prevent strain on the knee joint, which is much more vulnerable to overuse injuries when it doesn’t get the support it needs from the hip. While the hip joint’s main role is stabilisation, all kinds of athletes need to maintain a healthy range of motion, too. Weightlifters with very tight hips are unable to get into a nice, deep squat, and a runner with excessively tense hips will end up with a shorter stride, and gradually dwindling pace. As with everything, moderation is key: the goal is to strike a balance between strength and flexibility that is appropriate for our chosen sport and that allows for safe and efficient patterns of movement. 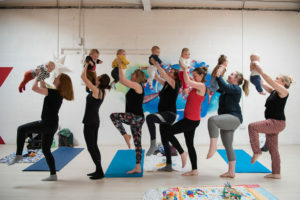 New mothers are prone to tight hips, and those of us who have spent just a little too much time on the couch lately, might be suffering with excessively tight hips too. And this is really a problem because it can cause reduced mobility and lower back pain. 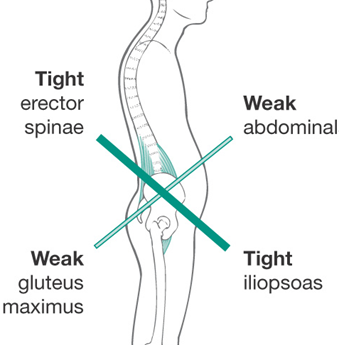 This image shows weak abdominals, weak glutes, tight back and tight hips. We can correct this by scooping the stomach and lift it up to the back of the body/ ribcage and by pressing the inner thighs together, you can feel inner glutes switching on, opening the front of the chest also. If we engage the powerhouse to open the front of the hips, lifting the stomach into the spine and bending the hips, then we will start to loosen up more easily. We can use trigger point balls that we use in class, to loosen up and relax tight hips. Simply roll on your front, as you would with the foam roller (see picture below). This will not be as sore with the trigger point balls (they are softer) as with foam roller, so you can work those trigger points for longer. Look out for lots more hip releases this week! In other news, I am absolutely thrilled to tell you that we are due to officially launch a re-branding of Physical Health Personal Training on 24 May 2019. You may have seen the new hashtag #TruePilatesEdinburgh in some of our posts recently, well if you were wondering, then wonder no more. As of 24th May, we will be known as True Pilates Edinburgh, and have an exciting new logo, branding and website to unveil, to reflect the changes in CPD and philosophy we have adopted in the last couple of years. We love this new name, because it describes what we are doing more precisely. This date also coincides with my birthday, and it’s a big one this year – I will be 40 years young! So to celebrate the re-branding, four year anniversary of the studio at Tribe Porty and a brand new decade for me, we will be throwing a big party, with a barbecue in the afternoon and then a DJ to take us into the evening! Please save the date!